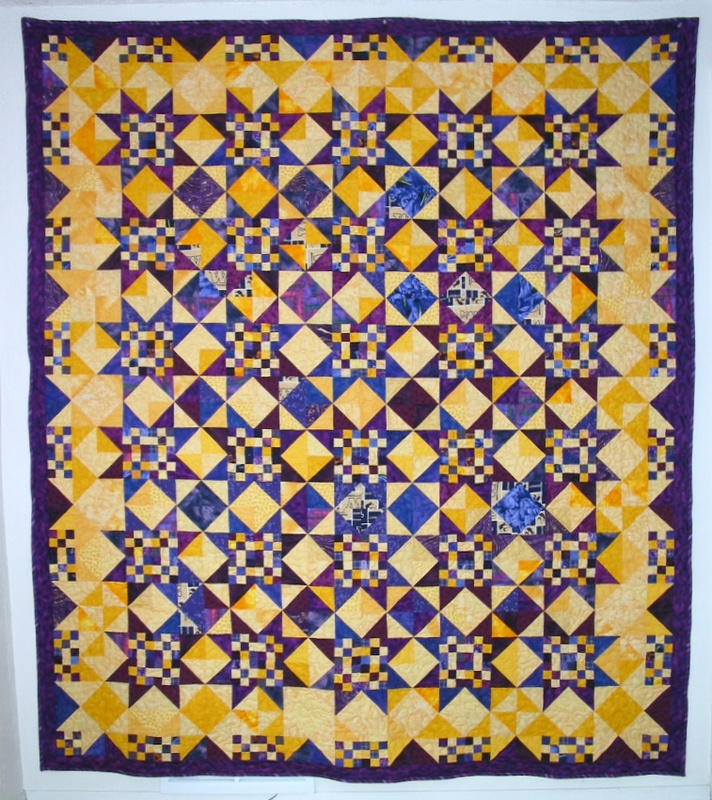 Made for display at my quilt guild annual quilt show. 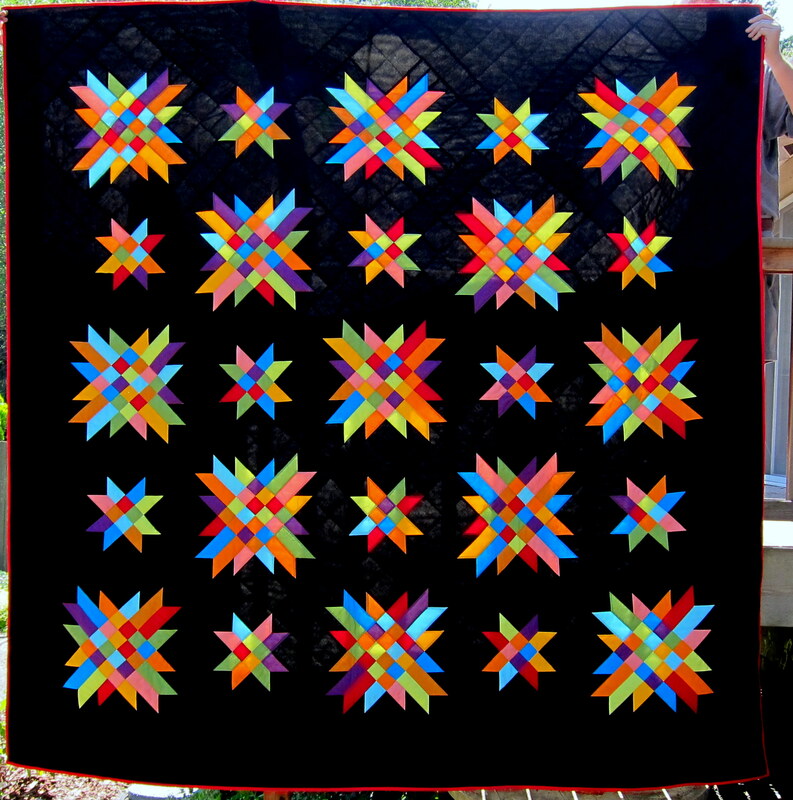 I also did all the quilting on my domestic machine. 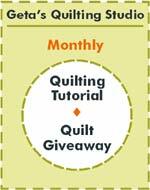 I like the Delectable Mountains pattern using cut up half square triangles and found another way to use the half square triangles. 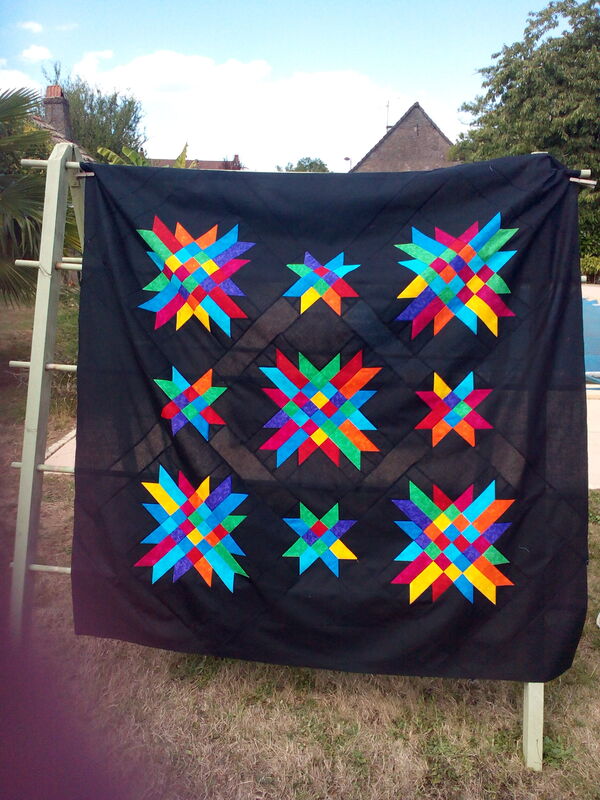 Gerry from Burgundy, France sent in a photo of her quilt top. 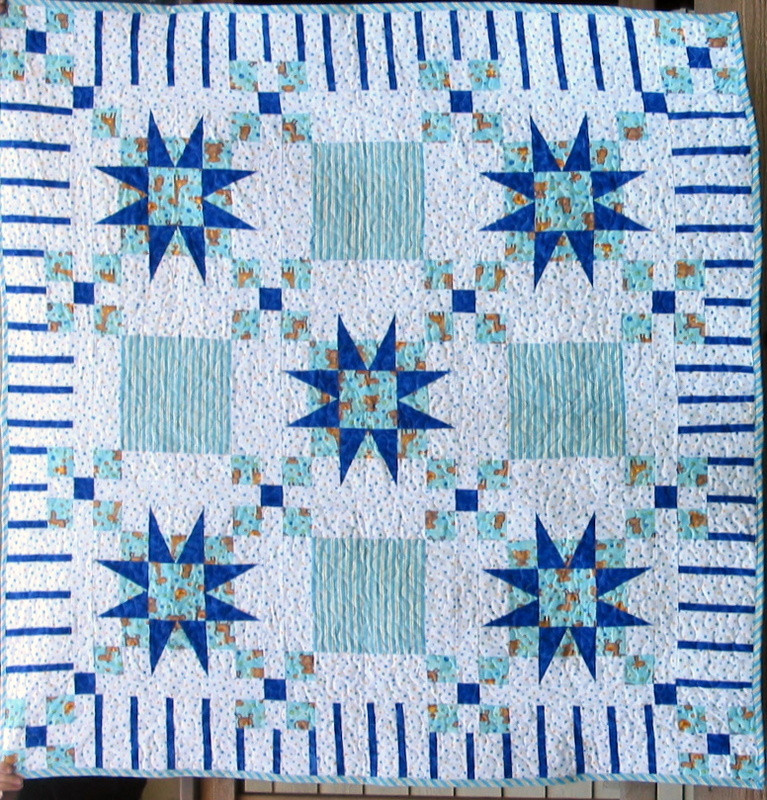 This quilt was made for the son of a friend. If you ever need some uplifting and joy in your life you can get it from Melissa. She is a 30 yo ex-Univ. of Washington and professional basketball player who has been diagnosed with Lou Gehrigs disease (ALS). 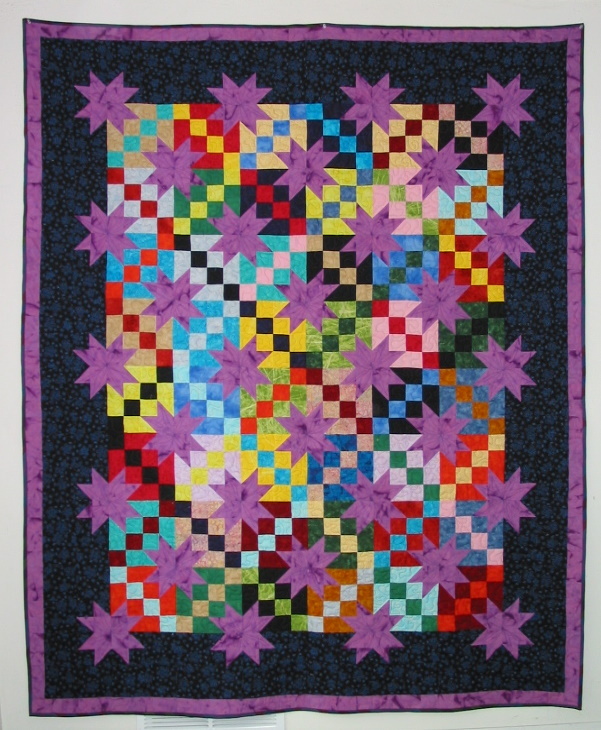 I made her the quilt last year with help from my friends who donated fabric and helped with the sewing, quilting and label. These great friends are Kaylin Francis, Marie Chestnut and Michelle Brown. 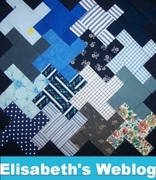 The fabric was donated by the Washington State Internet Quilters. 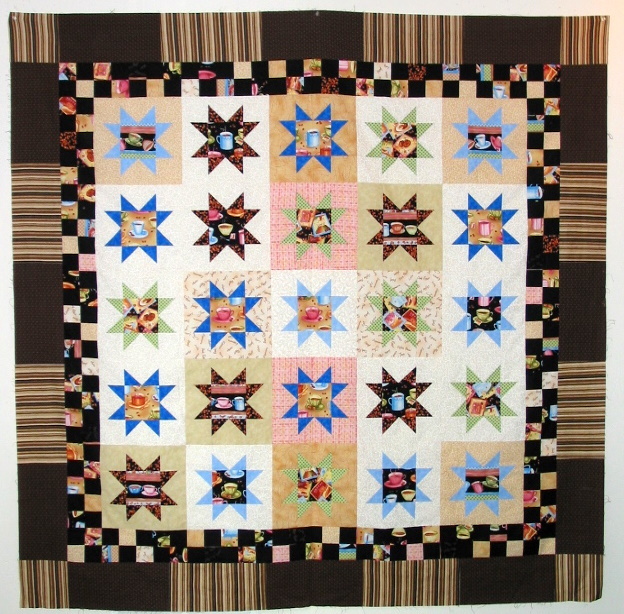 She loves sharing her quilt with her kittie, Tommie (a girl). To read more about Melissa you can check out her awesome blog. I am sure she would enjoy some visitors and comments. 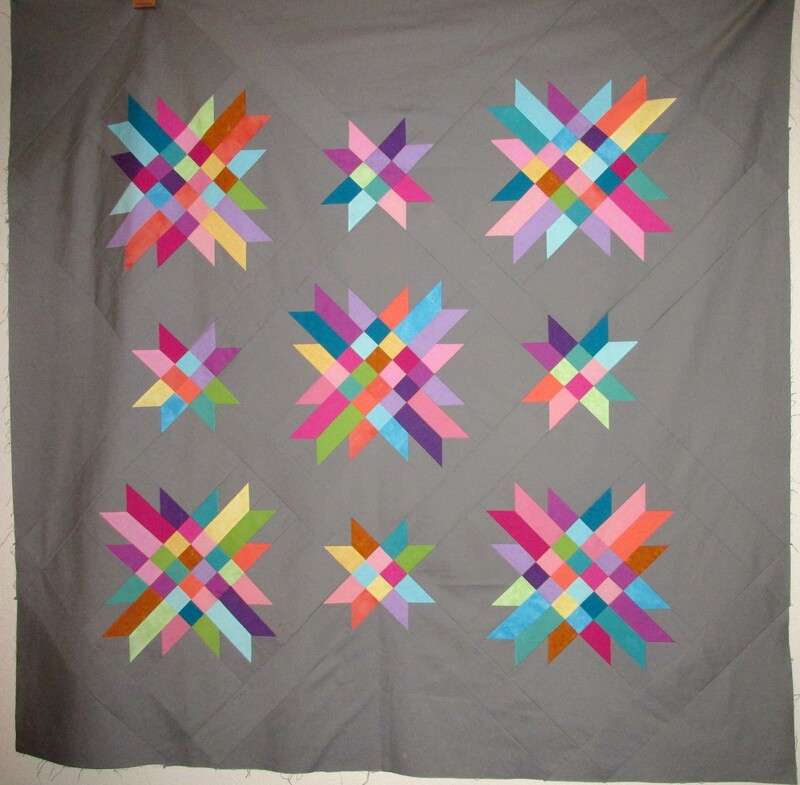 I made this quilt for myself.